Tom Winkopp (top-left) has turned the once semi-private Brookstone Meadows into The Club at Brookstone. The new name goes along with a new direction to make the Anderson golf club a private club for Anderson families. 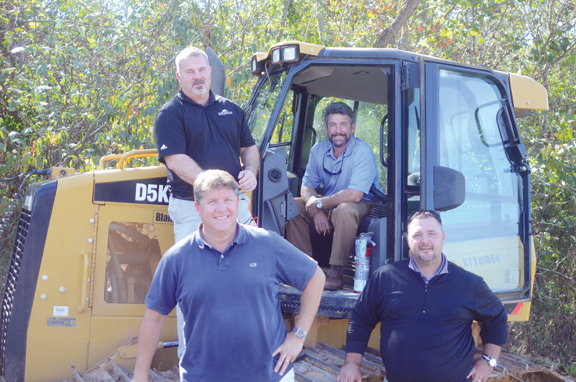 Helping in the project are Wallace Martell (in cab) Mike Jaskowhich (left-front) members of the advisory board and general manager and PGA professional Greg Rushing. The renovations at the club have been extensive to the fairways, bunkers and greens. The last thing Tom Winkopp wanted to have was a golf course. A private golf club that would serve families and the Anderson area was another story all together. “I was involved with the course when it was opened and I live here,” said The Club at Brookstone founder. “When it was being sold, I decided the time was right for Anderson to have a truly private club and Brookstone was in the perfect location,” said Winkopp. 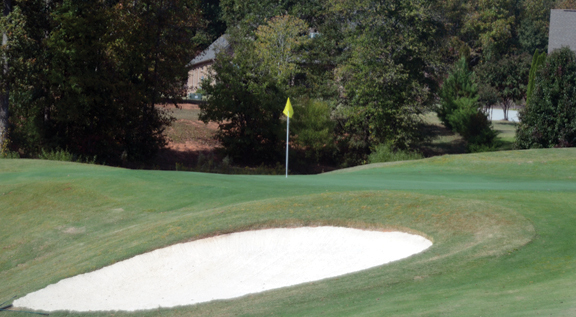 The successful developer joins a small, but exclusive club of course owners and operators who have invested in the growth of golf facilities in the Upstate. Now after several years of work the club is thriving and has become the premier stop on the LPGA Symetra Tour. Mike Kaplan did much the same thing at Green Valley. The club was on its last leg when Kaplan bought it and rebuilt much of the course, the infrastructure and the membership. Now Green Valley is again a premier facility for members and their guests. 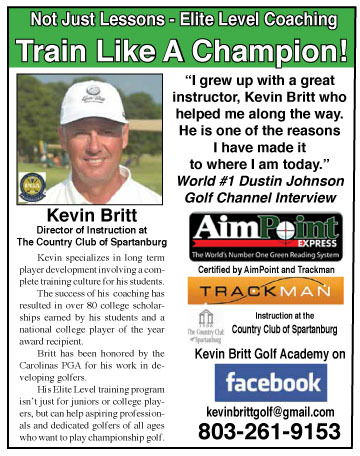 It also has been a great member of the golf community in the Carolinas hosting many important state and regional tournaments. 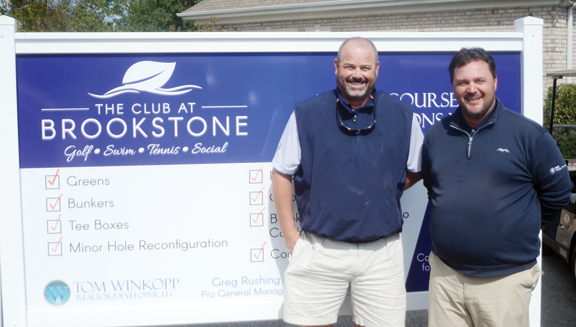 The Club at Brookstone superintendent Chuck Connolly and General Manager and Director of Golf Greg Rushing have been working to reopen the club since the middle of the summer. Winkopp has the same kind of plans for Brookstone and sees a bright future for the club to capture members and events from the course located near I-85. 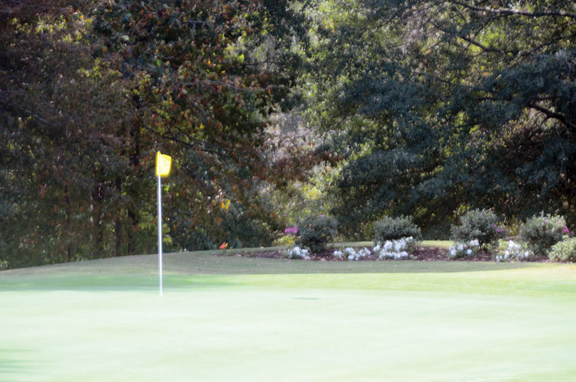 There are no official reports, but Anderson could be the largest community in South Carolina without a private golf club. “We are definitely going private when we complete some of the amenities that will make Brookstone a really great place for families,” said Winkopp. The first step in the renewal process was the hiring a pair of veterans to guide the project. Greg Rushing came to Brookstone from The Reserve and is the club’s general manager and Director of Golf. Chuck Connolly is the superintendent who served at Greenville Country Club before moving to the Anderson course. Brookstone replaced its old greens with new Tiff Eagle putting surfaces. The nines were also reversed. “Both Chuck and I have experience in working in private clubs and we are using that experience to build this club to have that same kind of experience for our members,” said Rushing. The next step was to involve Troy Vincent in the project as a consultant. Vincent spent many years working with Jack Nicklaus and his design company. “Troy had a real feel for what we could do here to improve the course and his direction has matched up with what Tom wanted,” said Rushing. Brookstone Meadows had a number of holes that were problematic. Often times the best suggestion was to bring in a load of dynamite to fix some of the problems. “We didn’t use dynamite. We couldn’t because of all the homes,” joked Connolly. “We did spend a lot of time with rock hammers to clear out problem areas and improve the shape of holes,” he said. One of the major problems with the old Brookstone layout was the tee boxes often were misaligned to the play of the hole. “We fixed that very early in the process. We also widened some landing areas and on some holes built up a side of the fairway to keep more shots in play,” said Connolly. The greens were rebuilt with a Tiff Eagle putting surface. The course nines were also reversed so that play will be completed at the sight of the new clubhouse. One of the new additions to the course is one that Rushing is very proud of insisting be part of the plan. The club has added two permanent rest room facilities. (below), one on each nine, that can also act as shelters in bad weather. “We have two restroom complexes on the course for both men and women. Brookstone never had any before, they are not just port-a-lets, but substantial buildings. They will also be a place for members to get ice, drinks and shelter if needed,” said the Director of Golf. Rushing has also added a fleet of the newest Yamaha golf carts. They will have video screens and USB ports along with GPS trackers, a concession to the times. 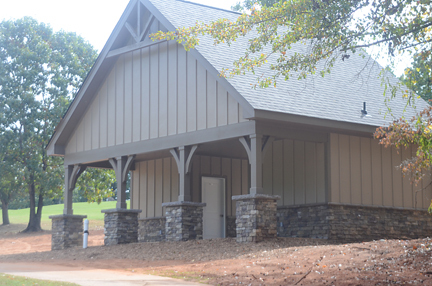 The old clubhouse has been remodeled to meet the needs of the new operator. The owners of The Earl Street Kitchen, which has a location in downtown Anderson, will operate the restaurant. The key to Winkopp’s commitment to make the club private is the new clubhouse and the large swimming complex which is more than a pool. 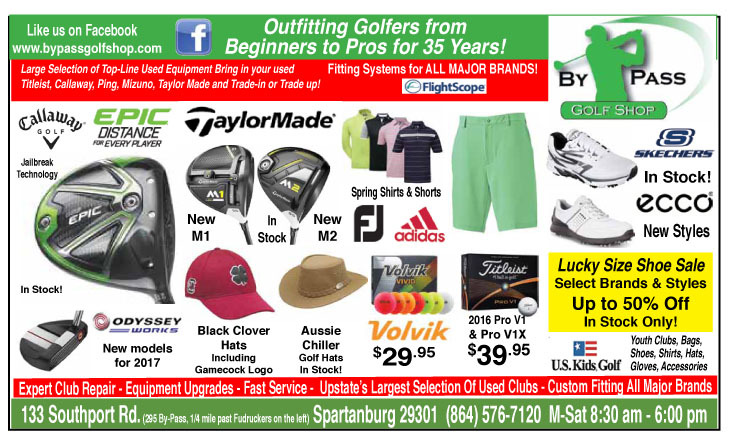 “The days of a golf club just being for men have been over for some time. You have to have the amenities for mom and the kids if you want to attract members,” said Winkopp. The rendering of the new clubhouse and pool show the amenities that will be available to members in about a year. When the clubhouse is completed, sometime next year, the club will become totally private. “Going private does not depend on the number of members. We will go private when the facilities are ready for our members. Fortunately a lot of people believe in what Tom is doing and our membership is already growing,” said Rushing. The club has set aside some tee times to act as preview opportunities for prospective members. “Guests can play with our members, or members can make tee times for their friends. We also will have a small number of tee times available to the public until the clubhouse is completed,” said Rushing. 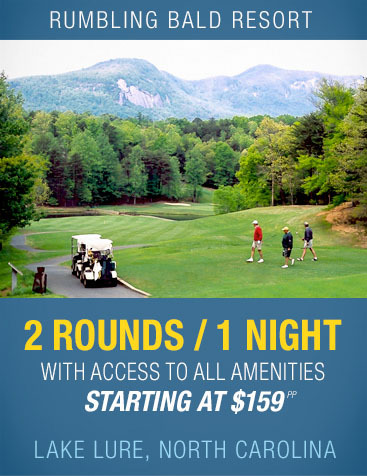 The location of The Club at Brookstone near I-85 makes the club easily accessible from all parts of the Upstate. While Winkopp sees Anderson as his primary service area, the fact that I-85 is so near opens up many other parts of the Upstate to prospective members. “I can be in downtown Greenville in 20 minutes or so. There isn’t as much traffic on this side and being a member at Brookstone lets you get away,” he said. The growth in surrounding areas like Easley, Clemson the lakes and all along I-85 has led Winkopp to believe that it is time for this private club. “The Club at Brookstone is going to be different than anything that has ever been in Anderson. We are going to get families back engaged and make this a special experience for them,” concluded Winkopp. Additional information is available at http://www.theclubatbrookstone.com.